Cheese—we all love it. And we love all things Mexican. So A + B = creamy Mexican dip made out of cheese that everyone can’t get enough of. You got it, we’re talkin queso here. The thing is, our bodies (at least mine) sometimes say “nah dude” to cheese and we are left in a bit of a situation. Well friends, today I present to you my new favorite, cheese-less, yet incredibly cheesy vegan queso—made creamy with a not-so-secret ingredient. 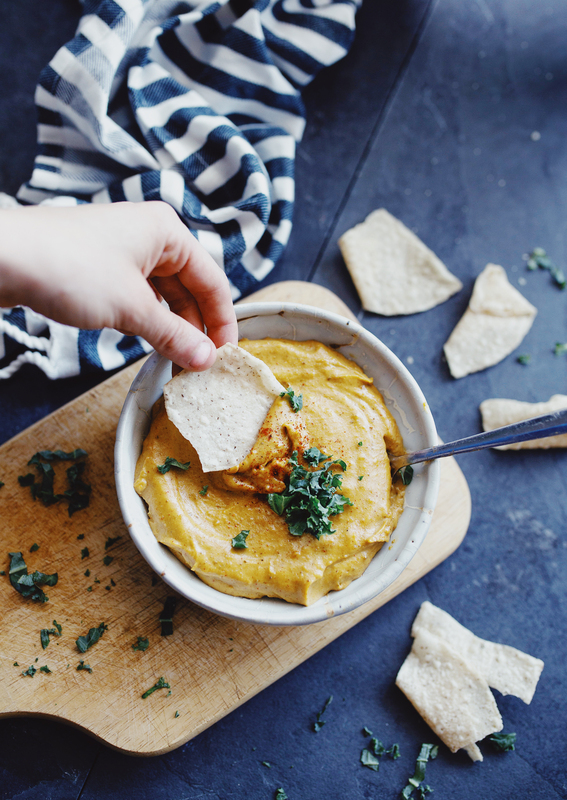 This vegan queso recipe is about to become your new favorite party dip. 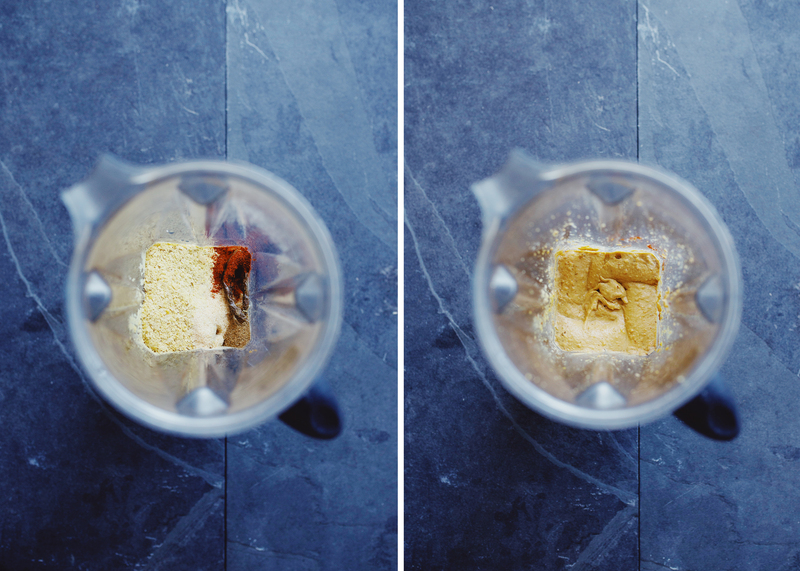 It is made with only 8 ingredients and whips up in a blender in just 10 minutes*. Let’s make some Easy CASHEW Queso! Queso made of cashews? You got it—my little not-so-secret is that cashews make the best vegan cheese base. 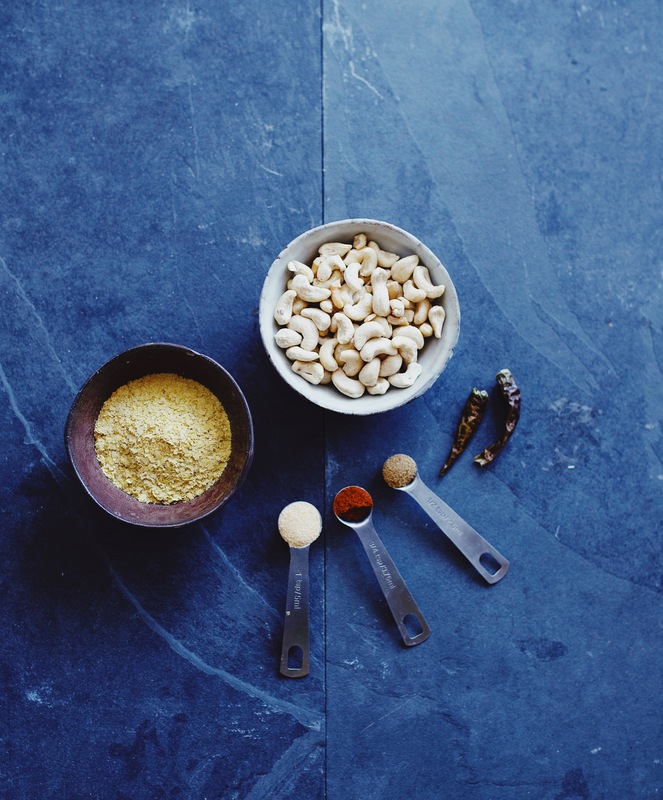 When soaked, cashews can be made incredibly smooth, thick and creamy when blended up. 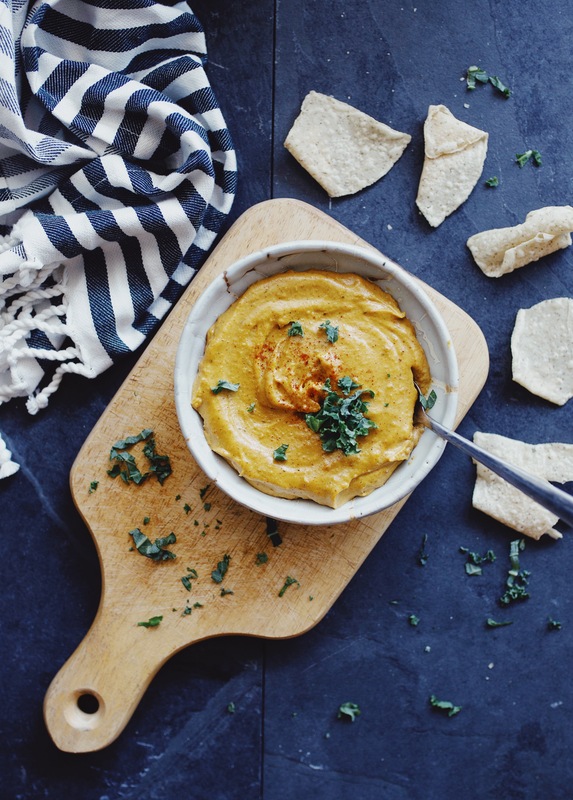 With some delicious Mexican spices and nutritional yeast, this recipe is everything you could dream of for your queso and more. 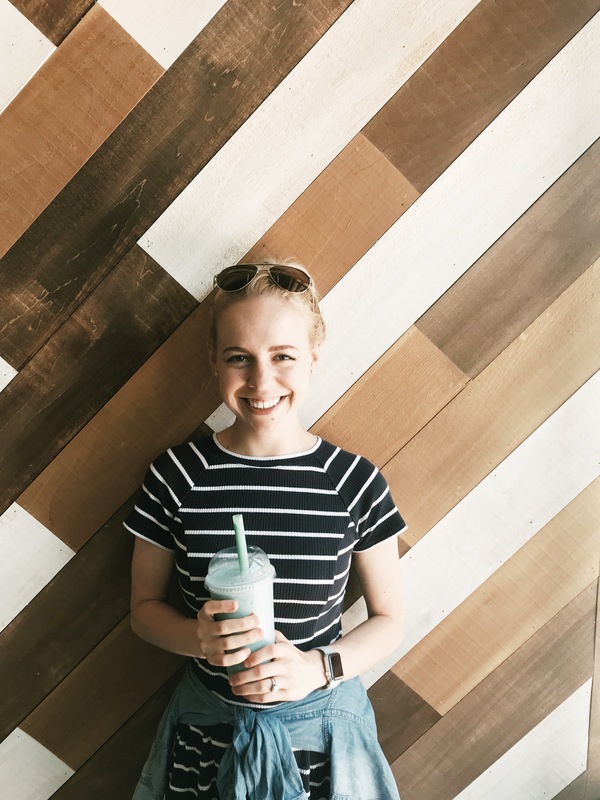 If you’re like me an love throwing parties but are always accommodating a variety of food preferences and allergies, this recipe is definitely for you! It is naturally gluten-free, vegan, sugar-free and oil free—basically you can’t go wrong with this dip. I also love serving this queso with my favorite sea-salt Siete Food’s grain-free tortilla chips made with cassava flour. These chips are perfectly crispy, salty, and made with only wholesome, anti-inflammatory ingredients. Plus, Siete Food’s puffs their bags so you don’t end up with oddly crunched pieces at the bottom of the bag. 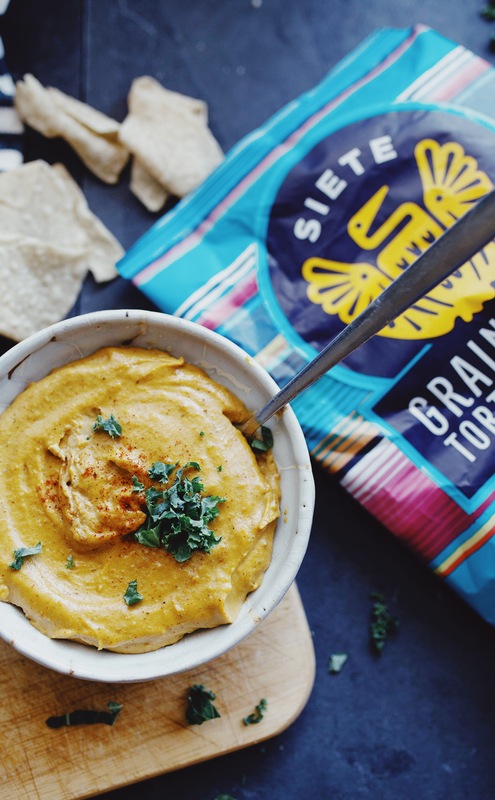 Soak some cashews grab a bag of Siete Food’s chips** and get cashew queso making! 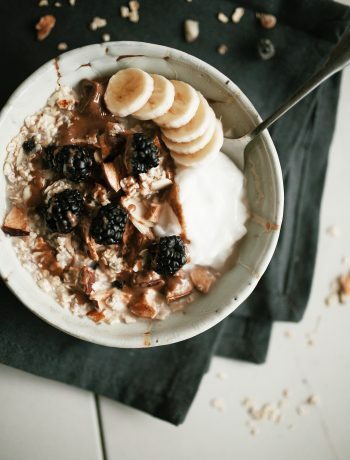 This recipe would be great served with my Vegan Mexican Jackfruit Bowls, Southwest Sweet Potato Bowl, Vegan Baked Chili “Cheese” Fries with Garlicky Guac, or my Guacamole Salad. 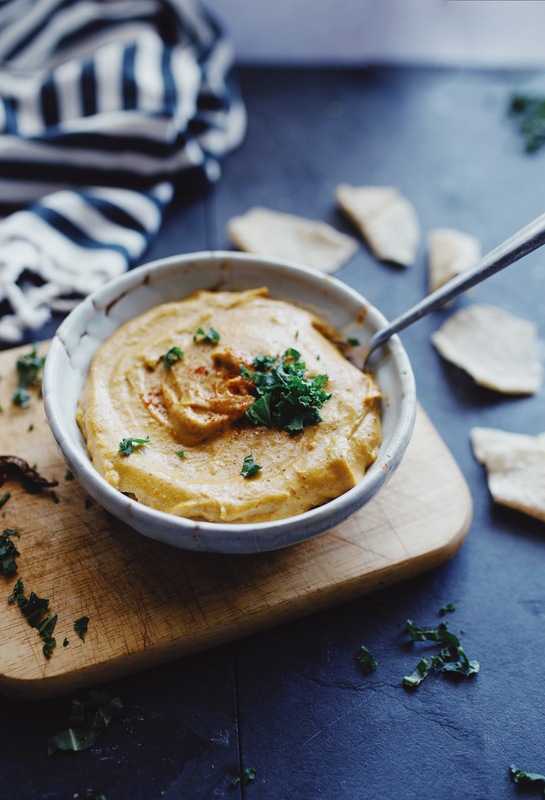 This easy cashew queso recipe is about to become your new favorite party dip. 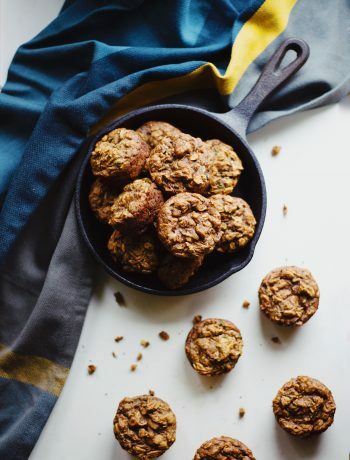 It is made with only 8 ingredients and whips up in a blender in 10 minutes! 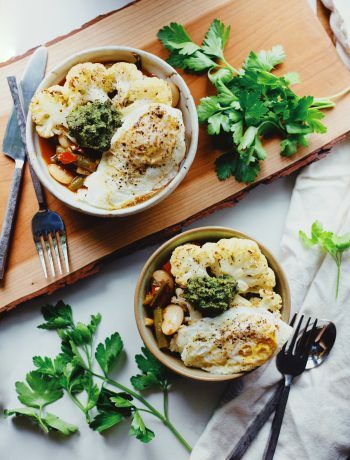 Add the cashews, hot pepper flakes, nutritional yeast, water, garlic powder, chili powder, cumin and salt to a high speed blender or food processor. Blend on high, scraping the sides down as needed to create a thick, smooth, and creamy sauce. Add more water to thin as needed 1 Tbsp at a time. Taste queso and adjust flavor—adding more hot pepper flakes for spice, garlic for garlicky-ness, chili powder for smokey-ness, and cumin for earthy-ness. Serve warm or at room temperature. Leftovers will keep for up to a week refrigerated in airtight container—you may need to add a splash of water before serving if queso is too thick.